The usual metaphor is job hunting, but I have been thinking lately how much finding a new job is like that other basic human work: farming. Here are a few things I’ve noticed. Planting: You have to till the soil and sow your seeds. If we wanted to extend the metaphor into a full analogy, the “soil” would be your network of contacts and resources, while your “seeds” would be the applications, resumes, proposals, etc., that (you hope) will eventually grow into work. You have to sow these widely, but you also have to sow in the right places and prepare the soil ahead of time. Unlike farming, of course, you never quite know what you’ll reap from your efforts. Missionaries often talk about “sowing the seed widely,” which means sharing the Gospel with as many people as you can, without predetermining who you think will respond and who won’t. There’s an element to this in the job search, though it’s also important to make sure you’re planting the right seeds in the right soil. Preparing: You have to keep your tools sharp. While farming has seasons, it doesn’t really have an “off” season. The same is true with the job search. Just because you’re still searching for the perfect job doesn’t mean you can rest on your laurels (or lack thereof). You have to keep your job skills sharp so that you’ll be ready when the opportunity comes. Writing for the Emerging Scholars Blog. Taking web development and design courses from Treehouse. Working on some freelance and personal writing projects. These aren’t just exercises, either. Last month, I spoke at Urbana 12, InterVarsity’s triennial student conference. This reminding me how much I enjoy speaking — and that I’m pretty good at it. This, in turn, has shaped the direction of job search in the new year. Persevering: You need to learn how to wait well — and hope for favorable conditions. 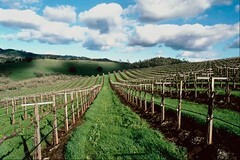 As with actual farming, the eventual harvest is only partly under your control. Drought, flood, locusts, and such can destroy your hard work, but (more optimistically) good weather and the right conditions can make your effort far more productive than you ever expected. Unlike actual farming, however, you don’t know how long your season of waiting will be, which means that guarding against discouragement and complacency are crucial. All of this makes your planting and preparing even more important. What do you think of this comparison? Do you have a better metaphor that you prefer? GTD to GJD: Getting Things Done to Get a Job, Darnit! In my recent posts on searching for a job, I’ve mentioned Things a couple of times. You might be wondering, “Things? Can you be more specific?” Yes. Things is the Mac program I use to track my GTD (Getting Things Done) system. Why Do You Need to Get Things Done? 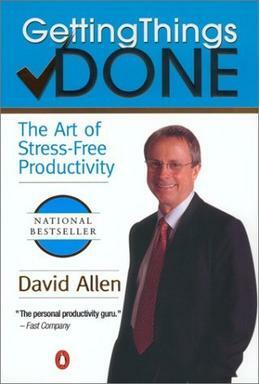 Getting Things Done by David Allen. Doesn’t he look relaxed? Just because you’re unemployed or underemployed doesn’t mean you don’t have things to do. Further, just about virtually everything you’re doing is self-directed and self-organized. No one’s calling a status meeting to check on your progress with cleaning the garage or checking in to verify you’ll chaperone the 1st grade field trip on Monday. You may think that this is the worst time to set up a new organizational system. Wrong: this is the perfect time. You need to be organized to find a great job, and you probably have more control over your schedule now than you have in years. Additionally, this is a great time to start (or restart) personal projects that you always want to do, but never had time to pursue. Guess what: now you have time. Now that you have some extra time, it’s also likely people will begin asking you to do more stuff: volunteer at school, take on more child care duties, work on long-delayed projects around the house, etc. Simply keeping a house in order is a full time job. If you’re serious about finding a new job, you need some way to organize your efforts. That job ain’t gonna find itself. If you’re having the opposite problem — thinking you have nothing to do — think again. In case you need ideas or motivation, check out this terrific blog post about 9 things to do in your first week of unemployment that my wife sent me a few weeks ago. 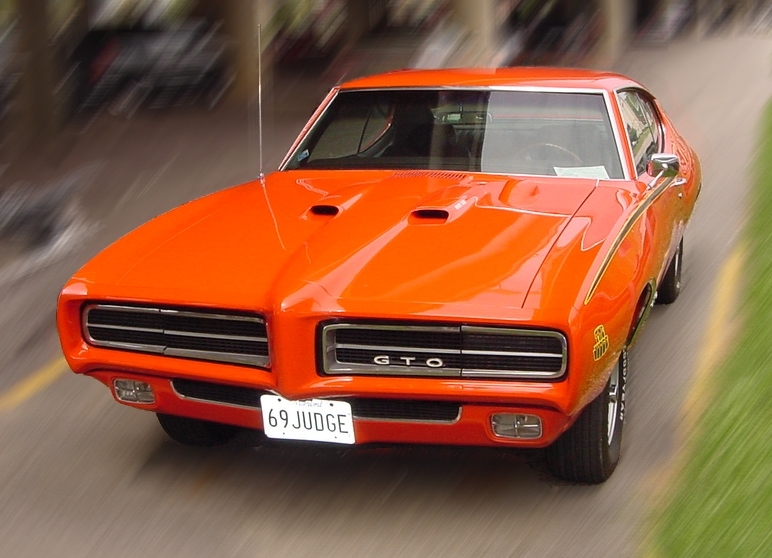 A 1969 GTO. Maybe you can buy one after you get that awesome job. In case you don’t know GTD from a GTO, it’s a system developed by David Allen for collecting, organizing, and track everything that you have to do get done in your life. That may sound stressful, but the goal is actually to reduce stress while enabling you to move beyond merely maintaining your life to achieving your goals. Michael Schechter’s A Better Mess blog, which chronicles his journey wiht GTD and ADHD. Worth reading even if you don’t have ADHD. Additionally, one of my favorite podcasts, Back to Work with Merlin Mann and Dan Benjamin, has recently started a series introducing Getting Things Done. If you like productivity discussions sprinkled liberally with comic book references and silly voices, subscribe to Back to Work. Things is what I’m using right now. Why? Because I own a copy. Don’t spend a lot of time choosing the right software or the perfect notebook. Trust me — I’ve tried them all, and the most important factor is your own willingness to keep on top of the system. In Things, I have project called “Find a new job.” Perhaps even more importantly, I also have all of my other projects and areas of responsibility set up as well. While it’s important to stay focused on the job search, life goes on and you need to focus on the rest of your life, too. Here’s GTD in action with a situation that actually happened to me. Capture. I record everything I need to do related to this job search and put it in the project folder. Most GTD apps now have phone versions, so it’s easy to jot down something anywhere you are. I also like to keep a small notebook and pen with me for the same reason. Just make sure to consolidate your written notes with your software ones. Example: at a friend’s house, I met a person — let’s call him “Bob” — who happens to work in one of my target industries. I recorded his contact information in my phone and made a note to email him for lunch. Review. Perhaps the most important step, and the one I struggle with most. You should be reviewing your GTD system daily and weekly so that you always know what you need to do next. It’s something I’m getting better at. On Tuesday, I reviewed Things and saw that I had “Email Bob for lunch” as a to-do item. Do. When you have the time, context, and energy for a task, do it. I emailed Bob for lunch. GTD is much more complex and robust that this, so I encourage you to read the book and try it yourself. Do you use GTD? Have you used it or another system to find a new job? Do you suggestions for how I improve my system? Tell me about it in the comments. Google. You may have heard of them. Last week, I shared how I use Pinboard to organize my job search. Another tool I use is Google Docs. I’ve been approaching my job search like a project, which means I need to track progress toward my goals. Additionally, I have a short memory for what I’ve accomplished, and recording my daily and weekly activities helps me remember my work and feel better about my efforts. It’s free. Depending on your situation, you may not want to spend money on Excel or another spreadsheet program. It’s fast. Most job applications and postings are online now. If you already have your browser open, you can easily keep Google Docs open in another tab and record your activity as soon as it’s completed. It’s shareable. I share my Job Search spreadsheet with my wife so that she can see my progress. She knows I’m working hard on the search, but if she can see the work I’m doing, it helps her peace of mind. If you have philosophical objections to Google, you could use Zoho Docs instead. It’s been several years since I used Zoho, but it was a very nice product back then. Taking the first one last, I have weekly goals for the number of applications I want to submit and the number of meetings I want to have. I’ve added conditional formatting that colors my weekly activities green if I’ve met my goals. With a job search, progress can be difficult to measure. There’s one big goal: get a job. You might have lots of interviews or very few (I’ve been in both situations), yet have no idea how close you really are to landing the job. For me, this is a very frustrating situation, so tracking small wins keeps my motivation up. Recording Next Steps is crucial. Did they suggest someone for me to contact? Are they looking up some information for me? I also record any next steps in Things (more about that in a future post). How do you keep track of the progress of your job search?